The Board of Control for Cricket in India has released the schedule for the remaining matches of the 2019 Indian Premier League. The tournament, which begins on March 23 with a mouth-watering clash between CSK and RCB, will see the group stages end on May 5th. Earlier, the BCCI had released the schedule for the first two weeks of the tournament, until April 5. Now the only things that is yet to be revealed are the dates and venues for the playoffs and the final. The Delhi Capitals will be looking to turn around their luck this season. The Delhi-based franchise has struggled to compete in the tournament in the previous years and would be looking to the able guidance of head-coach Ricky Ponting and newly appointed advisor Sourav Ganguly. Delhi’s batting is dominated by domestic stars like Shikhar Dhawan, Rishabh Pant, Shreyas Iyer, Hanuma Vihari and Prithvi Shaw. These Indian stars would be supported by the likes of Colin Munro, Colin Ingram, Sherfane Rutherford and Chris Morris who all are very capable with the bat. Like the batting, the bowling also looks strong on paper with players like Kagiso Rabada, Trent Boult, Amit Mishra, Chris Morris and Ishant Sharma forming a formidable line-up. Add to that, the quick leg-spin of Nepalese leg-spinner Sandeep Lamichhane and Delhi look like a very balanced bowling lineup. The Shreyas Iyer-led side will kick-start their season against the Mumbai Indians on March 24 at the Wankhede Stadium. They will play their first home match on March 26 against the defending champions Chennai Super Kings at the Feroz Shah Kotla Stadium. Their last group match would be a home game against the Rajasthan Royals. 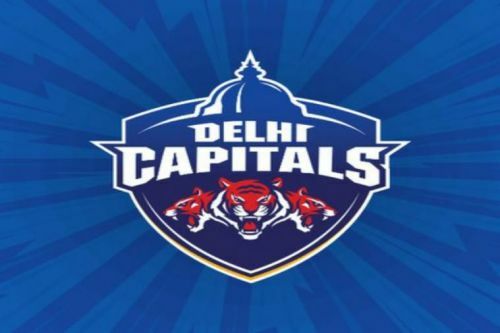 Delhi Capitals full squad for IPL 2019: Shreyas Iyer, Rishabh Pant, Prithvi Shaw, Amit Mishra, Avesh Khan, Harshal Patel, Rahul Tewatia, Jayant Yadav, Manjot Kalra, Colin Munro, Chris Morris, Kagiso Rabada, Sandeep Lamichhane, Trent Boult, Hanuma Vihari, Axar Patel, Ishant Sharma, Ankush Bains, Nathu Singh, Colin Ingram, Sherfane Rutherford, Keemo Paul, Jalaj Saxena, Bandaru Ayyappa, Shikhar Dhawan, Vijay Shankar, Shahbaz Nadeem. Catch all the latest IPL Live score, news, playing XI, match predictions, fantasy tips & stats.